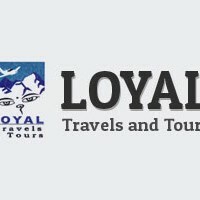 Loyal Travels and Tours Pvt Ltd is government’s authorized registered Company and established by well experiences, wide knowledge, sincere and Loyally Management. All staff and management team are very helpful and cooperative. They take pleasure in arranging tours and trekking to exotic places. Sight seeing and excursions of Himalayas valley [Mountain flight] in Nepal, Tibet and Bhutan. Special packages with a combination of enchanting, Jungle resorts, the country’s exotic national parks, adventure sports: mountaineering, rafting, Bungy Jumping, Canoeing rope, Kayaking, Mountain biking etc. can be arranged for their very special guests. They include introducing genuine Nepalese hospitality. Expose our tourists to the warmth of age-old Nepali typical traditions, culture and heritage. So do give them the pleasure of planning your holidays the way you expect.